After welcoming me into her spacious Rogers Park apartment with a warm handshake and shot of espresso, Nancy Lu Rosenheim guides me through a long hallway into her sunny front room studio and toward two stools at a high-topped table. A tall and fully stocked shelving unit rises behind us, brimming with well-worn brushes, tools and paint jars of all sizes. In the corner of the room, a large sculpture sways gently from a hook in the ceiling—made from Polystyrene and splattered boldly with vivid colors, it’s obvious the piece was created in conjunction with “Swallow City,” Rosenheim’s current exhibition at Hyde Park Art Center. “If you had been here six months ago, you would have seen the work spreading out into so many other rooms,” Rosenheim says. “Oh my gosh Maria, I worked on them all at once. 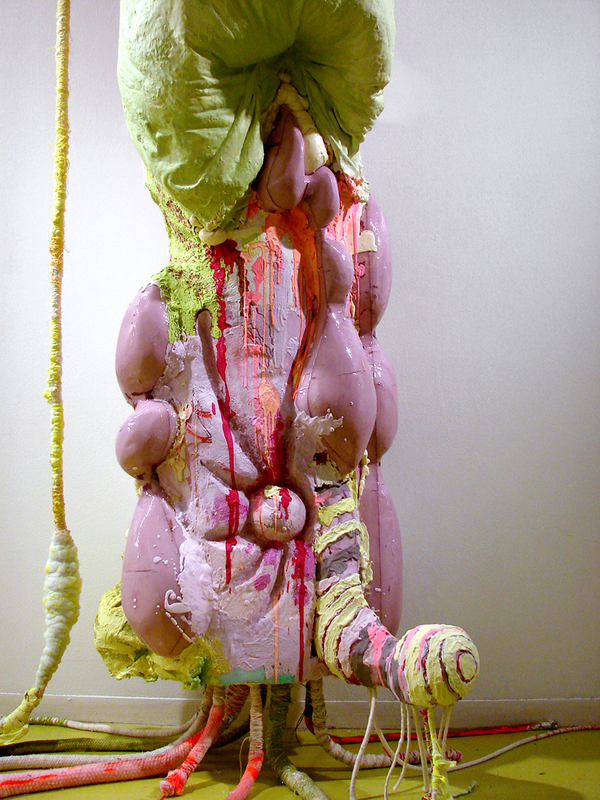 It’s not my normal way of working—there are thirty sculptures in that show, and each time I even got close to finishing one I would just move on to the next.” Rosenheim’s brightly colored mixed-media installations in “Swallow City” bring to life the undeniable similarities she sees between humanity’s vulnerability and nature’s callous cyclicality. Where flesh ages and droops, tree branches rot and fall; while flowers bud and bloom, scabs scar and heal. In a process of continuous deterioration and regrowth, the sculptures have attached themselves to the Hyde Park Art Center’s walls, floor, ceiling and stairwells. Tightly coiled string, bubbling glue and layered paint drips fuse together to construct pieces whose every nook and cranny offer an opportunity for visual discovery. It’s fitting that the works first explored Rosenheim’s home in the same creative and spontaneous manner in which they currently inhabit the art center. “I’d like to point out that nature is obsessive, and I like obsession,” she tells me. “I like detail and repetition. I don’t think I have a choice, that’s just what I do.” Formally trained as a painter, Rosenheim previously created large-scale paintings by layering small, repetitive strokes. “I’m still building large forms out of lots of little things,” she explains. Titled after intricate colonies of bird nests discovered at her parents’ Wisconsin farm, the exhibition’s budding bright colors and oozing paint splatters offers viewers an abstract, almost spontaneous panorama of works that range in size, color and surface. 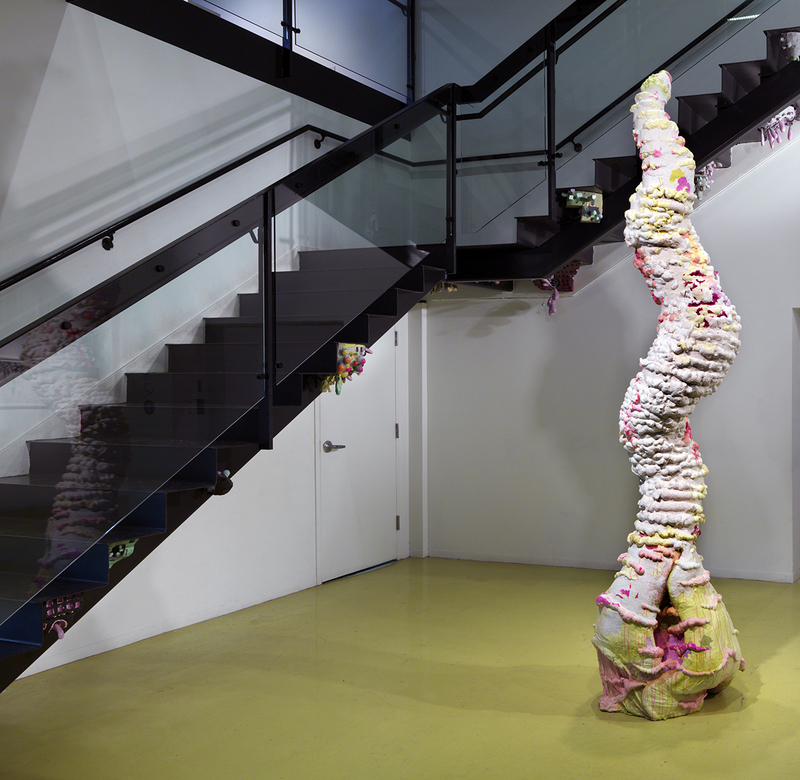 One large sculpture twists itself toward the ceiling in a windblown helix, while elsewhere a small, convoluted pod has intimately wedged itself into a corner of the lobby’s metal stairwell. 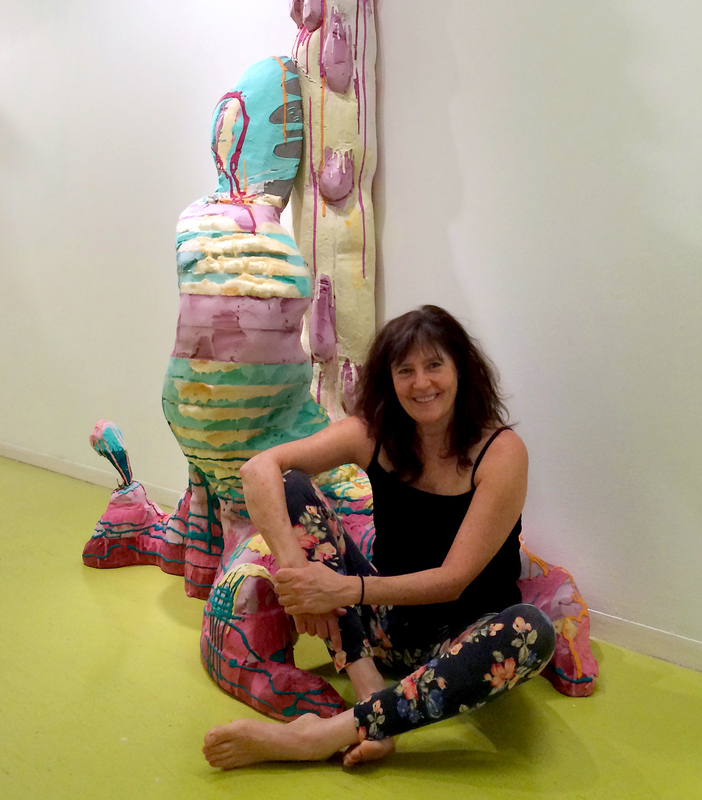 Nancy Lu Rosenheim shows at Hyde Park Art Center, 5020 South Cornell, through July 12.